Many many moons ago, Brighton had it’s first ever “Beach of the Dead“. 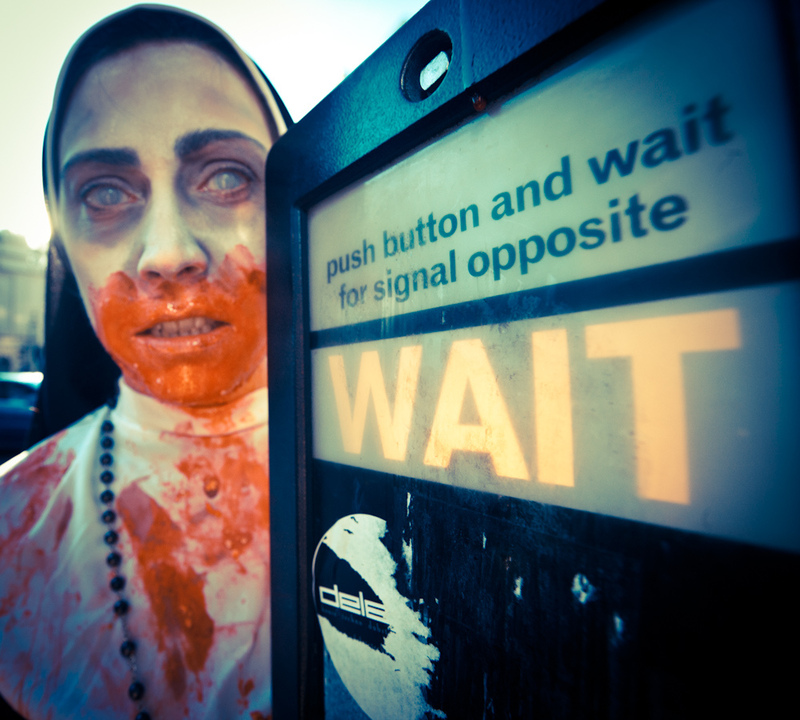 This is basically the Brighton Zombie walk, that takes place once a year around Halloween. 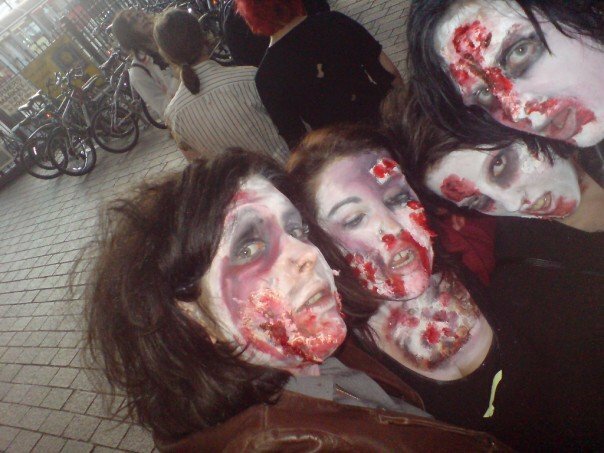 If you aren’t familiar with the concept of a Zombie walk it is basically when a bunch of people meet in one place dressed as Zombies and walk to another destination as Zombies (limp feet, groaning, arms out etc. ).We found a make up tutorial online and did our make up using liquid latex and toilet roll to create the sores. Dressing up as a Zombie is always such fun! 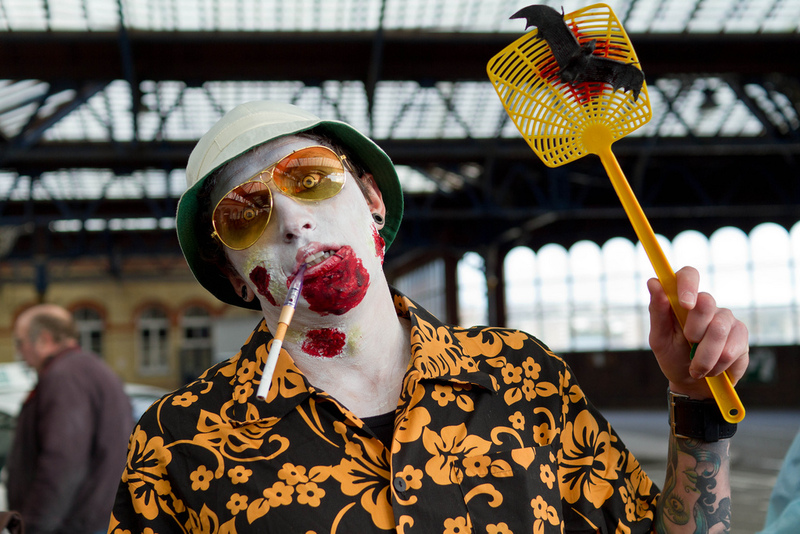 As Zombies don’t discriminate when it comes to eating peoples brains you can literally be a Zombified anything as demonstrated by this Ace Fancy Dress video. What is your favorite thing to dress up as for Halloween?